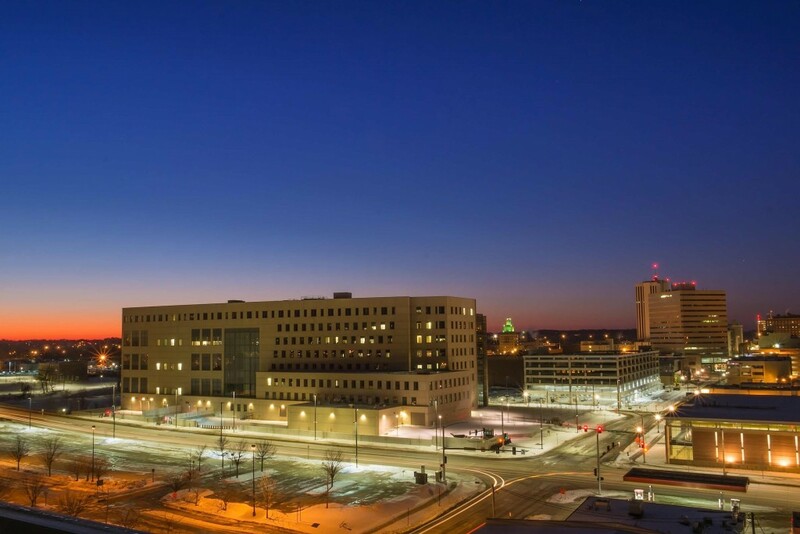 As the second largest city in Iowa, after that of Des Moines, Cedar Rapids has a direct impact on the state’s economy. Having said that, the Cedar Rapids real estate market is doing everything in its power to put the latest recession in the rear view mirror. While it still has a ways to go, drastic improvements have been put in motion. The current median home price in the Cedar Rapids real estate market is $156,900. The national average, on the other hand, is $203,867. Despite the difference in price, Cedar Rapids is looking to close the gap. Over the last 12 months, appreciation rates in Cedar Rapids have been as high as 10.4 percent, as prices continue to grow relative to last year. The rest of the country has seen rates reach 6.7 percent. So while homes in Cedar Rapids may not reflect prices on par with the national average, they are heading in the right direction. On top of that, experts expect the price to continue to increase. Cedar Rapids is currently a soft buyer’s market, as great deals on homes are widely available. The number of homes listed for sale is greater than the number of homes being sold, suggesting that demand is not where many would like it to be. If buying is not in your future, rent can be found at an affordable price as well. Rent prices are relatively stable, and availability remains high. If your yearly income is around $55,000, you can afford to rent in this particular market. Rent prices have decreased by eight percent over the past three months. This is the same as the county average of $724, and 211 percent lower than the state average of $2,263. The Cedar Rapids economy, however, is a bit more polarizing. While unemployment is well below the national level, 4.4 percent and 5.5 percent respectively, job growth is less than encouraging. In one year’s time, Cedar Rapids managed to drop its unemployment rate by nearly one whole percentage point, but job growth is in the red. While the rest of the country has added jobs at a clip of 2.1 percent, Cedar Rapids has seen its job growth rate drop to -0.4 percent. Quite simply, local employment growth is poor and needs to improve. If nothing is done soon, the lack of employment opportunities could weigh on demand in some areas. A lack of demand has already impeded new construction opportunities. In fact, the current level of construction is nearly 15 percent lower than the long-term average. Permits to build single-family houses have declined 17 percent in the last year alone. The national average has seen a modest 3.1 percent increase in such permits. At its current rate, construction will limit the amount of available inventory, allowing demand to catch up. With all that has transpired in the Cedar Rapids real estate market over the last year, one thing remains the same: affordability. Despite appreciating at a rate that is higher than the national average, Cedar Rapids real estate is more affordable than most markets across the country. In fact, homeowners in the area spend about 7.1 percent of their income on monthly mortgage obligations. The national average, on the other hand, is more than double that. Homes purchased in the Cedar Rapids housing market one year ago have appreciated, on average, by $16,948. The national average was $15,753 over the same period. Homes purchased in the Cedar Rapids housing market three years ago have appreciated, on average, by $27,894. The national average was $53,565 over the same period. Homes purchased in the Cedar Rapids housing market five years ago have appreciated, on average, by $30,992. The national average was $47,444 over the same period. Homes purchased in the Cedar Rapids housing market seven years ago have appreciated, on average, by $39,625. The national average was $17,200 over the same period. Homes purchased in the Cedar Rapids housing market nine years ago have appreciated, on average, by $39,346. The national average actually dropped $100 over the same period. According to RealtyTrac, there are about 299 homes in some state of foreclosure (default, auction or bank-owned). At their current level, Cedar Rapids foreclosures are 220 percent higher than last month and 281 percent higher than last year. If that wasn’t enough to peak your interest in Cedar Rapids real estate investing, the discounts these properties offer certainly will. RealtyTrac’s data suggests that non-distressed homes in the Cedar Rapids housing market sell for an average of $131,000. Distressed properties, on the other hand, have an average selling price of $100,800, or 23 percent less than non-distressed inventory. That is a savings of nearly $30,200 per property. These numbers alone should help increase Cedar Rapids real estate investing activity. Foreclosures within the city are fairly evenly split between auctions, bank-owned and default properties. However, bank-owned foreclosures increased more than 366 percent in the last year to claim just 35 percent of today’s foreclosure market. Auctions remain unchanged since last year and represent 30 percent of the market. Last, but not least, pre-foreclosures make up the remaining 35 percent. While the Cedar Rapids real estate market is not quite where experts would like to see it, truth is, it has made up a lot of ground in the last year. Home prices have continued to grow relative to last year and are outpacing the national average. It wouldn’t hurt, however, to see demand increase. Should job growth increase, it may encourage more people to buy.